Apple is said to be looking to expand its supply chain and possibly have partner Pegatron built iPhone 6 Plus units, as the company continues to struggle to keep up with overwhelming demand for its latest smartphones. Pegatron is in the midst of expanding its production capacity to help with iPhone 6 supply needs, according to Nikkei. With $200 million in capital expenditure this year and $300 million planned for next year, the company is said to be boosting capacity in response to strong global demand for the iPhone 6. 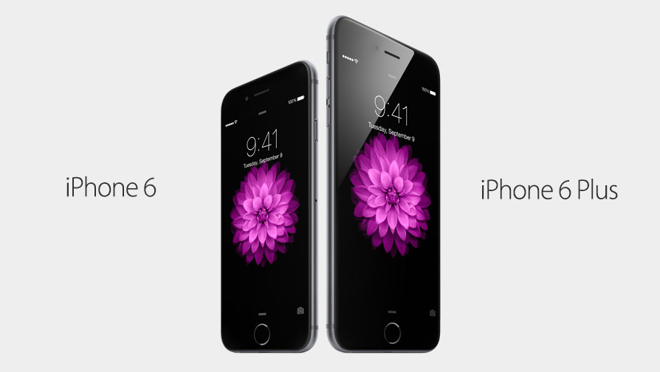 In addition, the report alleged that Pegatron may now be in line to begin building iPhone 6 Plus units for Apple. It was said that Foxconn is currently the sole supplier of Apple's jumbo-sized 5.5-inch iPhone, and that the company is struggling to keep up with demand. Apple is believed to be in the process of diversifying its supply chain, which has historically been dominated at the assembly level by Foxconn. In recent years, Pegatron has stepped into the fray, but has mostly been responsible for building Apple's low-end of iOS devices, like the iPhone 5c and iPad mini. That began to change this year, however, as Apple contracted Pegatron to build some of its 4.7-inch iPhone 6 models. Some reports have alleged that Pegatron is responsible for as much as 50 percent of production the smaller iPhone 6 model. With Monday's latest rumor, it appears that both Pegatron and Foxconn could also share manufacturing duties for the 5.5-inch iPhone 6 Plus. Apple doesn't break down sales by specific model, but various surveys have suggested that the iPhone 6 Plus has accounted for about 25 percent of sales of the latest generation of devices since they launched in September.